LoSalt® is the U.K.’s leading healthy, low-sodium alternative to salt sold worldwide. 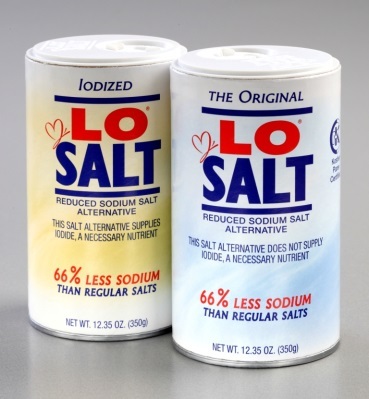 LoSalt has 66 percent less sodium that regular table, sea and rock salts, but tastes just like regular salt. A great source of potassium, LoSalt is a natural product. Follow them on Twitter @LoSaltUS. Back in 1964, President Lyndon B. Johnson declared February as National Heart Month for the first time. Fifty years later, President Obama signed the same annual federal proclamation for 2014. As heart disease is the number one killer in America, the governmental support behind National Heart Month helps raise awareness about the widespread health issue. This February take into consideration these 10 healthy heart tips from Caroline Klinge, Marketing Manager for Klinge Foods Ltd, which produces LoSalt®. Find a beat that gets you going and break out into a dance. Dancing raises your heart rate and burns calories. So don’t just walk down the street, turn up your headphones and strut! Whether cooking at home or out for dinner, opt for fish high in omega-3 fatty acids (such as salmon, herring and tuna) to decrease the risk of heart disease. Simply just laughing positively affects your heart, stated Klinge. According to research from the University of Maryland Medical Center, laughing relieves stress that damages the endothelium, the tissue that forms the inner lining of blood vessels and promotes blood flow and the healthy function of blood vessels. Try out a yoga class; According to the Journal of Ayurveda and Integrative Medicine, this exercise affects heart rate variability (HRV), which is an indicator for heart health. According to the New England Journal of Medicine, cutting back on salt intake would make the number of coronary heart disease cases significantly decrease. To help reduce intake, try LoSalt as it has 66% less sodium than regular table, sea and rock salts but tastes just like regular salt, recommends Klinge. Stay on top of your blood pressure, blood sugar, cholesterol and triglycerides levels though regular doctor appointments. Luckily for those with a sweet tooth, there are health benefits to chocolate consumption, stated Klinge. Based on research from the American Journal of Clinical Nutrition, the flavonoids in dark chocolate help to fight against heart disease. The American Heart Association suggests that replacing foods high in saturated fats with nuts (such as almonds, walnuts, pecans, and other tree nuts) helps lessen bad (LDL) cholesterol. Show your pet some love. The National Institute of Health reports that pet ownership can lower your chance of heart disease and potentially improve heart and lung function. According to The Mayo Clinic, interval training will increase calories burned. You can wear a heart-rate monitor to see where your heart rate stands, recommends Klinge. Even as February comes and goes, it is important to keep a healthy heart lifestyle year-round. Help yourself and help others live longer, happier and healthier lives.